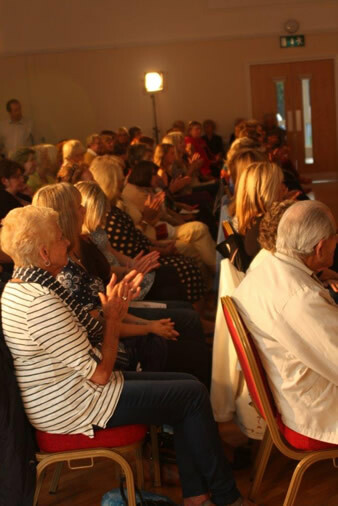 It was a full house of sixty seats at the St Margaret's Hospice Fashion Show on Friday 23rd May at the Memorial Hall. 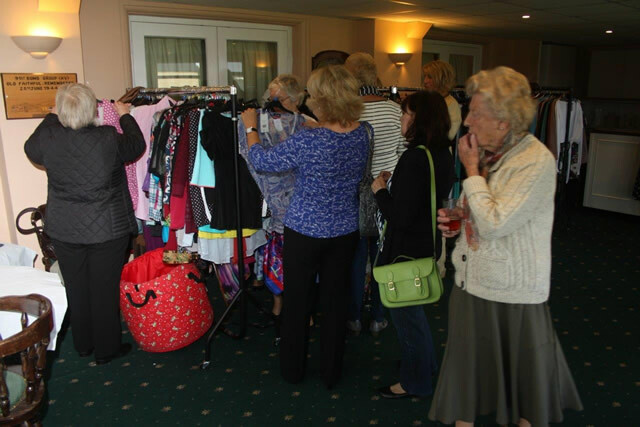 With the Sun Room full of volunteer-staffed stalls selling jewellery, handbags, hats and of course racks of dresses, coats and tops, there was a wide range of quality goods on sale at very reasonable prices. 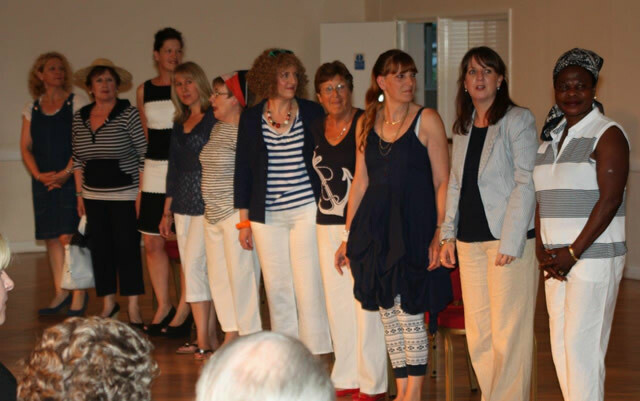 The highlight of the evening however, was the parade of ladies, both customers and volunteer helpers who to the accompaniment of pounding Abba numbers and other suitable music, paraded in combinations of finery which elicited rounds of enthusiastic applause. Also present was the Clinical Director of St Margaret's, Ann Lee, who brought home to everyone the importance of events like this which have such a vital part to play in raising funds to provide home and hospice-based care for the ever-increasing numbers of people who are facing life-limiting illness and the need for terminal care. In conversation with Ann I learnt that over half the patients supported by the Hospice are facing their problems alone and without close family members. So as well as needing a constant supply of donations to cover the high costs of care, there are also opportunities for training for those who would like to befriend and support people facing this tough time in their lives. 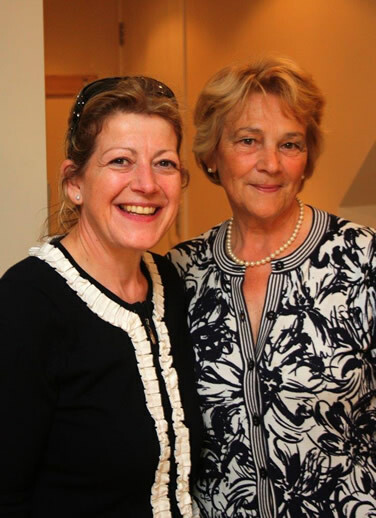 Pushing the call of duty pretty far out both Ann Lee and our Wincanton St. Margaret's manager, Linda Ireland, have pledged to take part in a yacht voyage right across the Atlantic ending in the West Indies and of course will be seeking sponsors for this, so watch this space and enquire in the shops about it. 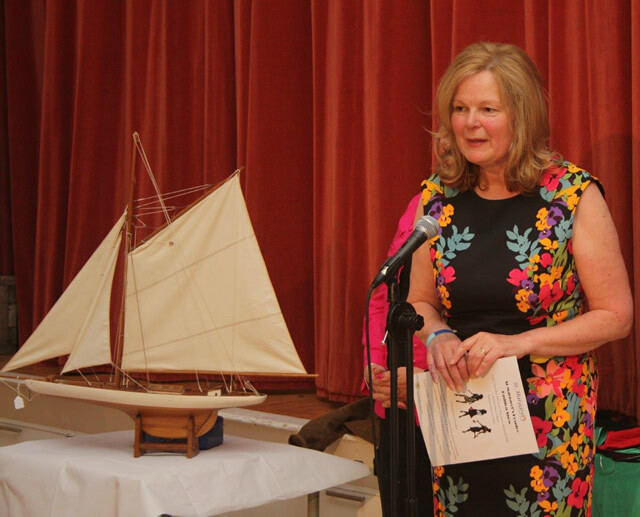 Linda particularly wished to point out that an evening like this, while being great fun, was only possible because of all the work her volunteers in the shops had put in to the selection of stock and organisation of the evening. It was thus heartening to know that after all expenses had been paid the show cleared a profit for St Margaret's of £1000. What follows is a small selection of the photos taken. Please contact Linda if you would like to see more or would like to buy copies.